This past Sunday I had the opportunity to tackle the United NYC Half Marathon course with members of my We Run NYC Running Club. Minus the nasty cold rainy weather I have to say that I was ecstatic about our run! Picture of the start area for the United NYC Half! As for the course itself, as many know, the NYC Half Marathon course has changed from previous years. For the first time this year the course starts in Prospect Park Brooklyn and ends in Central Park. Based on our run, here is my analysis of the course followed by my advice on how to tackle this course. The course starts off heading north on Flatbush Avenue with a nice, long, steady gradual downhill. The downhill itself is about one mile long. Strava measured this mile to be a decrease in elevation of about 96 feet. I have to admit, this is a nice wide road with lots of local shops. I am 99% positive that this stretch of the course is going to be filled with spectators on race day. With that said, these spectators, along with the 20,000 plus runners that just started around you are going to give you one hell of a boost of adrenalin! The temptation to unleash a fast mile is going to be huge! I will say, it is very important to resist that temptation because you have a long way to go and some challenges ahead. The second mile has a very small but short incline. It’s a relaxed mile that will lead you right onto the Manhattan Bridge. This is where your work and challenges will start. Once you get on the Manhattan Bridge there is a long steady climb onto the bridge until you get to the middle. Your total climb will be around 90 feet. This slow steady climb is given back as you come off the bridge and make a right onto Canal Street. The decline in elevation continues until you go east thru Chinatown and to the FDR drive. Full disclosure, today for this next stretch, we had to alter our route from the official route because the official route will take you onto the FDR drive. Obviously, we couldn’t get the FDR drive closed, so we chose to run over the overpass on Delancey Street to the other side of the FDR and ran along the water via the promenade up until 35th street. Distance wise this was the same as running on the FDR however where we ran on Sunday it was completely flat along the water. As we were running however we noticed that there were some steep elevations on the FDR drive in particular around the 10th street. This elevation essentially makes the FDR Drive go from street level to an elevated roadway. I wish I had the elevation measurements on this but just be prepared for an climb during this stretch on the FDR drive! There are several increases in elevation on the FDR Drive stretch! I believe that we are scheduled to get off of the FDR at 42nd St. Going west on 42nd street, we started out flat until we got to 3rd avenue. I can tell you that once again you will be begin a climb of about 40 feet until you get past 5th avenue. Here you will begin a small gradual run downhill that will take you around the corner onto 7th and up to around 45th street – that’s about a half mile of gradual downhill. Enjoy that stretch as much as possible because there is more work ahead! Once you approach 45th street on 7th Avenue, you begin an approximate one mile climb up that will take you up another 40 feet in elevation and will leave you right at the entrance to Central Park. This should prepare you nicely for what awaits you in Central Park. You will enter Central Park after completing 9 miles. Once you enter the park, a series of small uphills and downhills will await. Nothing too drastic. That is until you get to around 72nd street on the East side. This is where Cat Hill awaits you. You will climb over 50 feet in elevation over a span of a little over a half mile. For our trial run on Sunday we were not that winded when going up Cat hill. I think it was adrenaline from entering the park and knowing that we were not that far away from the finish. After Cat hill you will enjoy close to a mile of rolling down hills which includes a turn onto the 102nd street traverse to head to the West Side of the park. Choose your effort here wisely because when you come back around on the West side, you will have more uphills awaiting you! Make sure to “smile” at the Cat as you go up her hill! When you turn off of the traverse and onto Central Park West, you will have a little over a mile left. How you tackle that mile will be tricky. As soon as you turn onto West Drive you will be met with another long uphill. This one will take you up another 60 feet in the span of about a half of a mile. Once you get to the top of that hill, you will have a small down hill rest and then you will climb a short hill again. Coming into the 70’s on the west side you will be headed down hill one last time and this time, into the finish line! Our total elevation today according to Strava, was about 450 feet and I think on race day it will be more because of the FDR drive span that I mentioned above. This United NYC Half marathon is nothing like the previous version of it. A personal record is not impossible on this course, but its also not easy! How you attack this course will be key. Go out hard too early and you will pay the price on the many hills. If you wait too long to attack Central Park, your pace leading up to that may be too slow. Be inspired by Grand Central as you run by on 42nd street! In looking back on the course after digesting it on Sunday, my suggestion is to definitely hold back in the first two miles and start working a bit as you start your climb over the Manhattan Bridge. Keep working the exit off of the bridge as well as your time in China Town. Once onto the FDR you can hold back again in my opinion as this stretch of the run may be a little draining. Remember the elevation of the FDR, it goes from street level, to elevated road way. The pivotal part of the race for me will be the stretch from the FDR on 42nd street until you enter the Park, which is a little bit over 2 miles. This stretch, while it does have some uphills, presents slow gradual uphills, that are definitely ones that you could run at a good clip without getting drained, especially since there are downhills here as well. 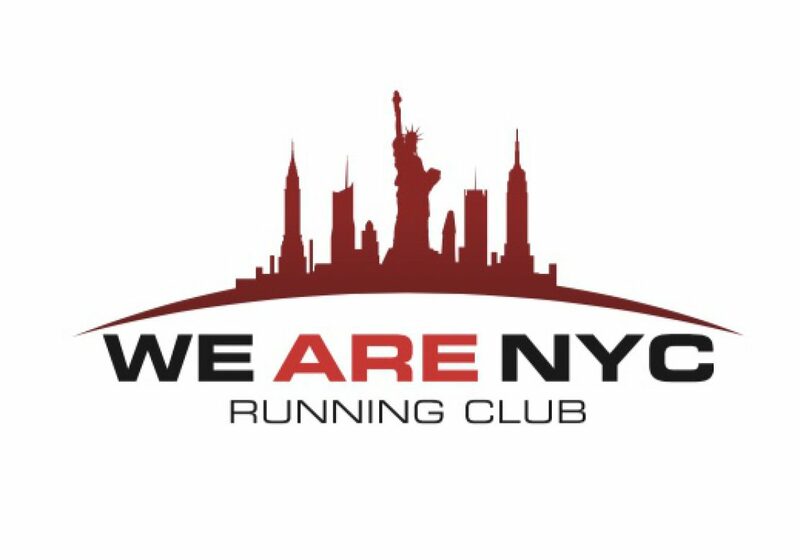 Further the adrenalin of running by the United Nations (42nd street & FDR drive), Grand Central Terminal (42nd street & Lexington Ave) and of course Times Square, should carry you strongly thru a solid two miles. This will set you up for the final four miles in the park where you will have to tough it out and give it all of you have on the uphills. Keep in mind, you will also enjoy those down hills and the crowds will undoubtedly push you to the finish line. Again, this course is in no way impossible but it’s nothing compared to the previous version of the United NYC Half Marathon. It is definitely more challenging. Has anyone else run the course out there? What was your take on it? Less than three weeks remain til the big race. Are you ready? We organized this race through the online Facebook group that I coordinated specifically for the United NYC Half. If you would like to join that page you can find it here. Hope this was somewhat helpful in your preparation for the race! Good luck to all running the United NYC Half Marathon on 3/18! Great description of an amazing course. Thanks for letting me visualize it! Hope I can make you even faster than you already are that day Paula! Good luck!! Nice breakdown. When you say hold back pace at times, how far off pace are you thinking? Great question Ericka- I would say 60-70% of your all out race pace! It’s definitely more challenging. I ran the older version as well so I can definitely compare the 2! There are so many changes to elevation on this one. The old one had Central Park in the beginning and then that was it the rest of the way for elevation! Great analysis! Thank you for all of your help getting ready for this exciting day! It’s going to be a blast Teresa and your going go do great!! Thanks I ran my pr here a few years ago sad to see the old course go. There are few chances to run fast in nyrr races and looks like they just killed a fast course so 2000 bucket listers could stop and take pictures atop the manhattan bridge. Dont forget there was usually a small tailwind on the old course and looks like a headwind sunday for 12 miles. If it aint broken don’t fix it.